Babra Sharif (Urdu: بابرہ شریف, Baabra. 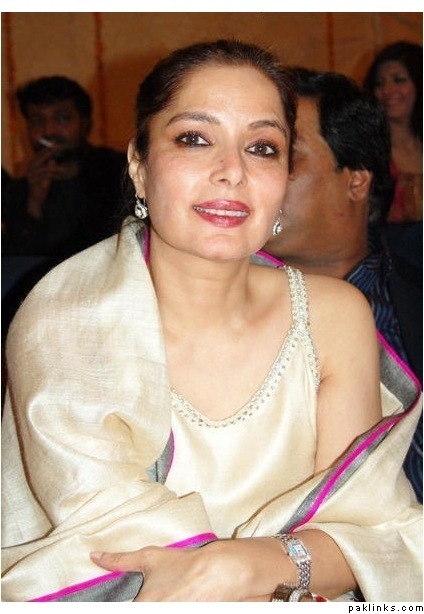 born 1954) is an actress in the Pakistani film industry during the 1980s and late 1970s. She started her career in television commercials. She made her presence felt in a 'Jet' washing powder commercial and came to be known as 'Jet' powder girl. Fair-haired, attractive and intelligent, Babra soon became a household name. Her appearance in the 'Lux' advertisement with the message, 'Aakhir loag hamara chehra he to deiktay hain', took her fame to the top. After a while, she appeared in Mohsin Shirazi's television play, which was telecast from Karachi television station. 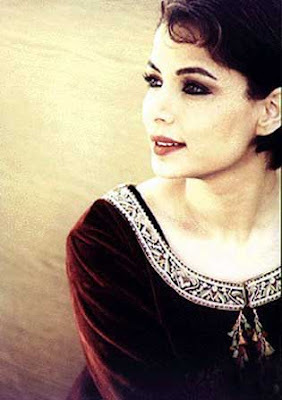 She worked with many famous names of her time, including Shahid, Nadeem, Waheed Murad, Ghulam Mohyedin and even Muhammad Ali. She had great success in Urdu films in Pakistan. She did a variety of roles which proved her versatility as an actress. Some critics have also considered her as the best actress of her time in Pakistan.